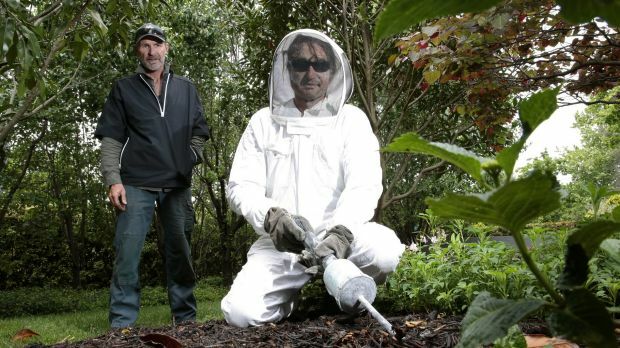 Canberra gardener Mike Bayly describes being stung more than 10 times by queen European wasps as “like having a nail punched into your arm”. Mr Bayly is keen to raise risk awareness after his “horrific” experience to ensure Canberrans watch out for queen wasps looking for new homes. 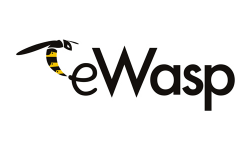 Last year, nearly 1000 nests were reported through the ACT government’s European wasp hotline, making it the capital’s worst year on record. 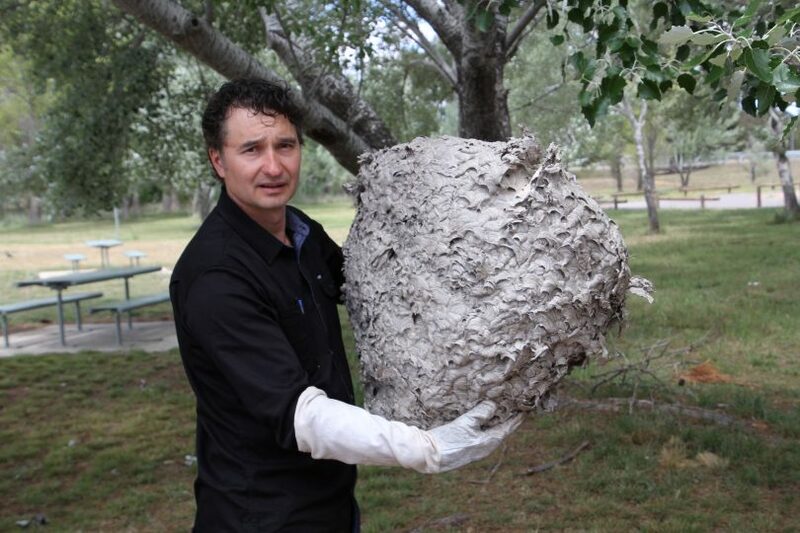 By mid-summer, nests could hold up to several thousand wasps that became increasingly protective of their territory, ACT government invasive species officer Jenny Conolly​ warned. “We could be in for another nasty wasp season,” she said. Mr Bayly was looking for the irrigation line in a Forrest garden last year when he saw “two little buzzy things”. One stung his hand and he realised it was a dangerous European wasp. Many wasps chased Mr Bayly to his car and repeatedly stung his face, chest and arms so aggressively that he couldn’t make it to hospital. He stumbled into a nearby chemist where the pharmacist gave him antihistamines and painkillers. “I was in sheer agony and was crying,” the owner of Gardens by Mike said. Seven Australians had died from wasp stings in a 20-year period, mainly allergy sufferers who weren’t carrying their medication. 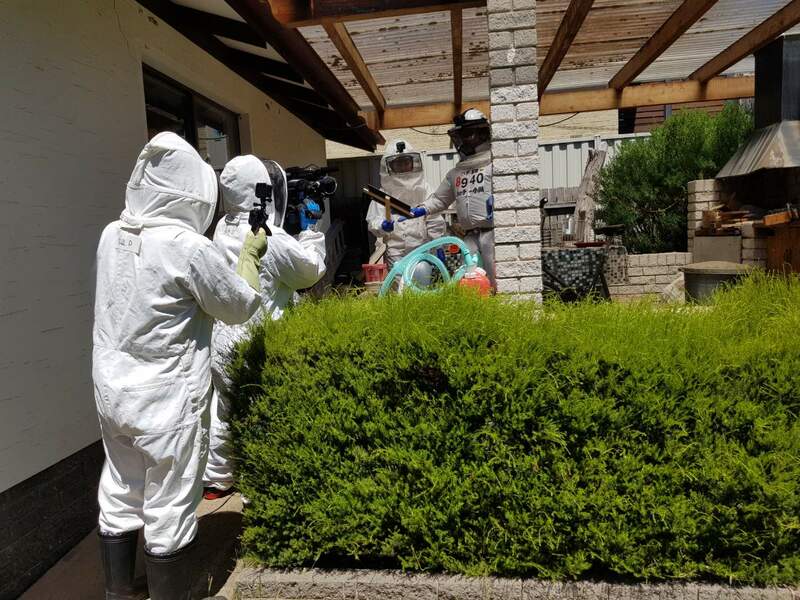 Horticulturalist Jim Bariesheff​, of Canberra pest and weed management company CoreEnviro Solutions, is used to thousands of wasps swarming around him while treating nests. He said they were often mistaken for honeybees. While they are the same size, wasps are less hairy and fold their wings back at rest. 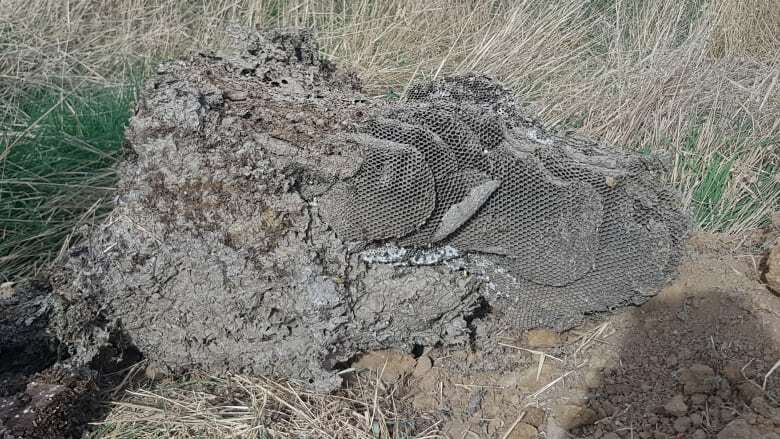 Residents are advised to check their gardens, wall cavities, sheds and roof and floor voids for signs of nests. If they find one, they should call a professional pest controller rather than treat it themselves.